"It’s no secret that the classical and the neoclassical ballet has a been a primary proponent in my artistic and physical output over the last 4 years (and for probably the rest of my media arts career), and as the major projects have been developed and taken shape, I think often about the initial classical ballet performances that began to shape the various interests. The memories always circle back to the Paris Opera Ballet and danseuse étoile Agnès Letestu. The first classical DVD I bought was the Paris Opera Ballet’s production of LA BAYADERE and immediately noticed Agnès Letestu as one of the Three Shades, thus making my second purchase the 2005 Paris Opera Ballet production of Swan Lake which features Agnès Letestu as Odette / Odile. Amongst everything else in the performance, Letestu’s potrayal of Odile consciously cemented my interest in the ballerina as a whole; the makeup, facial features, gestures, costume, form and Agnès Letestu’s incomparable angular posture. As the magazine, DVD, VHS, and Blu-ray collection grew exponentially, I was able to see even more of Letestu’s profound abilities for pantomime and drama, most notably in the Paris Opera Ballet’s 2003 production of LA PAQUITA. Eventually, the apex representation for me as a fan of Agnès Letestu has easily been her role as the Siren / La Courtisane in Balanchine’s LE FILS PRODIGUE. Strangely enough, I first saw her in the stunning costume during one of the documentaries about her as she was fitted with the arm bands in her dressing room. Finally finding and seeing online the Paris Opera Ballet’s 2001 production of LE FILS PRODIGUE was absolutely awe inspiring and a massive cumulative experience as again, the Georges Rouault ‘designed’ costume with Letestu’s uncanny stage abilities further cemented my thought that Agnès Letestu may be the absolute stage representation of woman. In other words, divine and a living, moving goddess. Over the years THE RITA has revolved many works around European genre film and pre-code vamp / flapper actresses, and my continuing life dedicated to the classical ballet has informed fascinations with other ballerinas such as Ludmila Semenyaka, Natalia Bessmertnova, Tatiana Terekhova, Marianela Nunez, Claire Marie Osta, Natalia Osipova, Maya Plisetskaya, Svetlana Berisosova, Ariana Lallone, Olesia Novikova and Alina Cojocaru, but again, for me Agnès Letestu is always the apex representation of the female performer. 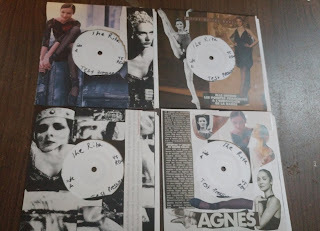 Test pressings are still available. $30 shipped in the U.S. all other countries must pay shipping. Email mbdcontact160@gmail.com first for availability. 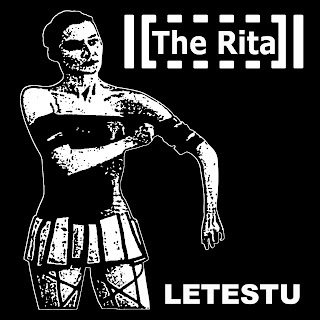 Copies of The Rita - Letestu will be available from the following distros soon. Test pressings and Alfarmania - The Waiting Grave now sold out. Mo*Te – Life In A Peaceful New World sold out.